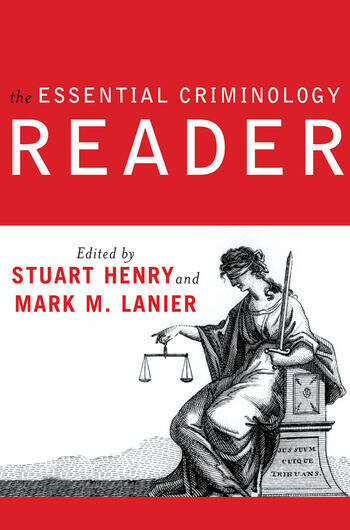 Initially designed to accompany Mark Lanier and Stuart Henry's best-selling Essential Criminology textbook, this new reader is an up-to-date companion text perfect for all students of introductory criminology and criminological theory courses. The Essential Criminology Reader contains 30 original articles on current developments in criminological theory. Commissioned specifically for The Reader, these short essays were written by leading scholars in the field. Each chapter complements one of 13 different theoretical perspectives covered in Lanier and Henry's Essential Criminology text and contains between two and three articles from leading theorists on each perspective. Each chapter of The Reader features: a brief summary of the main ideas of the theory the ways the author's theory has been misinterpreted/distorted criticisms by others of the theory and how the author has responded a summary of the balance of the empirical findings the latest developments in their theoretical position policy implications/practice of their theory.